Result: 1. VP, BPIB, BPIG, and 3rd in the BIS!!! 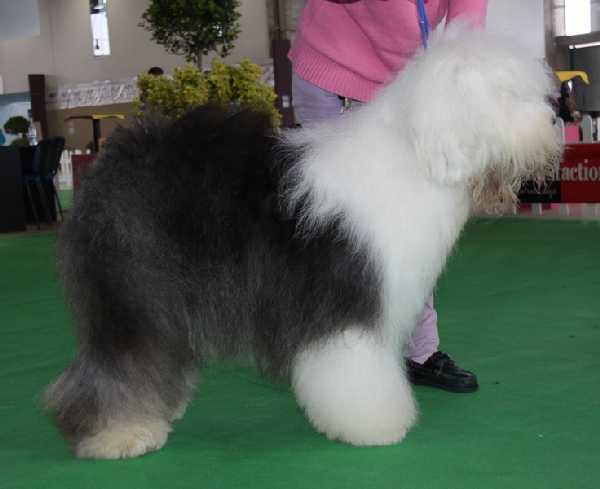 Report: Excellent proportions, typical head, correct mouth, goog topline, good chest, excellent substance, excellent legs and angulations, typical movement, excellent coat color and quality. Result: 1. Exc, CAC, CACIB, BOB, BIG!!! Result: 1. Exc, BOB, BIG, R/BIS!!! Result: 1. Exc, BOB, BIG, BIS 3rd!!! Report: Excellent type. Strong bone. Excellent hed. Good neck. Short coupled body. Excellent chest. Very well angulated, front and behind, Moves very well. Correct texture of coat. Report: Nice line. Nice head with good foreface. Very good pigment. Good neck insertion, topline OK. Well angulated in front. Deep chest. Moves well. Very good coat texture. Report: Excellent head. Excellent coat. Slightly short anteriors, excellent hindquarters. Excellent chest. Good movement.